You have landed the job, woo hoo! Pat yourself on the back, go out for a celebratory dinner and enjoy a glass of bubbly because now is when the real work starts, adapting to the new company’s culture and team. 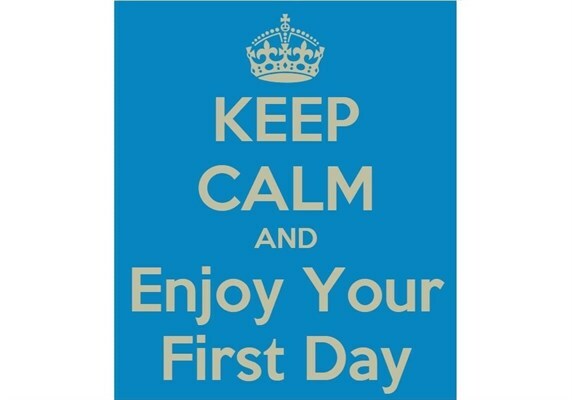 First day gives everyone jitters -- what do you wear…when will you take lunch…do your coworkers chit chat around the water cooler…are you allowed to listen to music…can you receive personal calls…what if someone isn’t nice -- all of this is going through your head before you open that front door. Lay out your outfit the night before. Prep your lunch the night before. Go to sleep 1 hour earlier than you actually want to be asleep to receive an adequate amount since you might be tossing and turning a bit. Eat a bit of breakfast to calm those 9am stomach grumbles. Leave 15 minutes prior to when you think is diligent to ensure an early arrival. Say hello to EVERYONE…………….when you enter the building. Have a smile on your face, be alert and shake coworkers' hands. Listen to everyone before you add a comment “We used to do it this way………..” You want to seem adaptable and not defensive – if the current company has a certain procedure, there is a reason. Adapt to the new procedure. Ask your direct supervisor about lunch -- what time do you go? Does the team go together? Having a conversation about this upfront will lessen the anxiety when it is lunch time. BE OPEN - there are going to be times you feel uncomfortable, out of your comfort zone. Be open to this and learn and grow from it. Ready, steady, go. Make this job a career that you will become an asset and in turn, grow into the employee you know you can be.